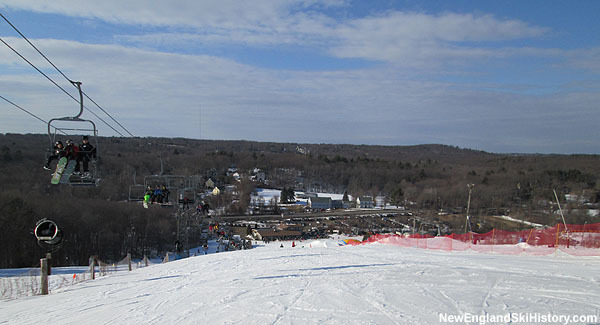 Located on Union Hill in Shrewsbury, Ski Ward is a popular, year-round local recreation center. 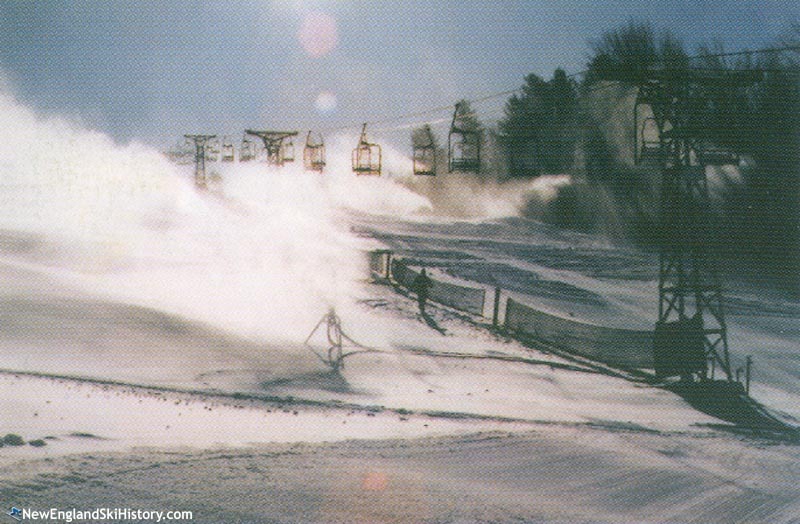 Ski Ward's ski history dates back to as early as 1939, when Ward Hill ski area may have first opened. Ward received press in December 1942 as being one of the few ski operations near cities allowed to have night skiing, as it was located just outside of the dim-out restriction area. Operators Warren Tyler and Louis Payne made improvements to the ski slope in advance of the 1942-43 season. The area has likely been in continuous operation since at least the mid 1950s. After a quarter century of operating with rope tows, big changes took place at Ward Hill in 1965. In September of 1965, Ward Hill Ski Area Corp. was established, owned by Edwin Fedeli in conjunction with long time operator Robert Rochette. A new Mueller T-Bar was installed for the 1965-66 season. A second T-Bar was likely installed for the 1968-69 season in the present day Tuba Slide area. Ward Hill entered the chairlift age in 1983-84, when a used Mueller double chairlift was installed in front of the lodge. In the fall of 1990, the LaCroix family formed Ski Ward, Inc. and took over Ward Hill. Over two decades later, the LaCroixs continue to own and operate the ski area. In 2003, the Mueller double chairlift towers were reused with a new Partek triple chairlift installation. In the early 2010s Ski Ward built out summer operations, including tubing, a terrain park, a BigAirBag, and volleyball. "Ski Ward has recently diversified a bit..hosting 'Night Weasels'. This is a cyclocross race held under the lights on the lower slopes of the hill...famous for it's technical descents and party atmosphere. The race is the centerpiece of New England's Holy Week of Cyclocross"
"I learned to ski there in the mid 1980s. At that time on the far left side of the hill I believe there was a rope tow that would easily burn your gloves off. It was just a thick piece of rope that you grabbed onto. I've never seen anything like anywhere else. "